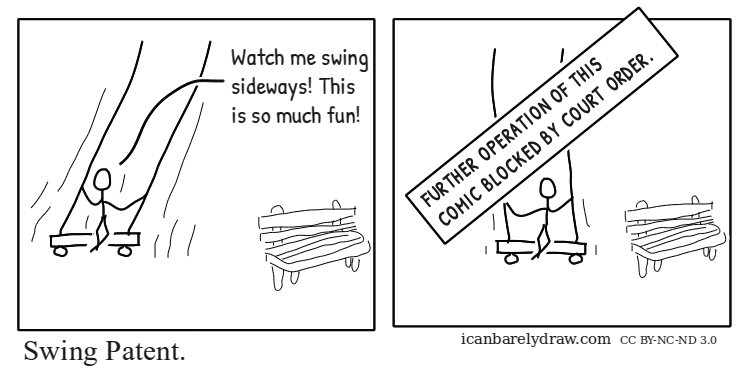 Man: Watch me swing sideways! This is so much fun! Sign: FURTHER OPERATION OF THIS COMIC BLOCKED BY COURT ORDER. Let me just be the first to say, that is one fugly bench! You truly live up to your name.